Comfortis 180mg is an innovative, chewable tablet used to control and prevent flea and tick infestations in dogs. Comfortis Chewable Tablets - 180mg is a Prescription Only Veterinary Medicine and by law requires a prescription from your vet. Comfortis 180mg is an innovative, chewable tablet used to control and prevent flea and tick infestations in dogs. Once digested, Comfortis breaks the life cycle of the flea, ensuring your pet is not re-infested and your home is kept flea free. 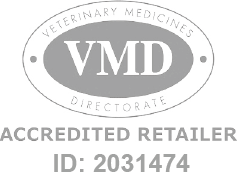 When given as directed by your vet, the beef-flavoured tablet contains the active ingredient, Spinosad, which uniquely targets the nervous system of adult fleas. With a proven flea and tick control, Comfortis can also be used as part of a treatment strategy for flea allergy dermatitis (FAD). Comfortis tablets are manufactured by Elanco and developed specifically for dogs. As such, they must never be used in other animals.